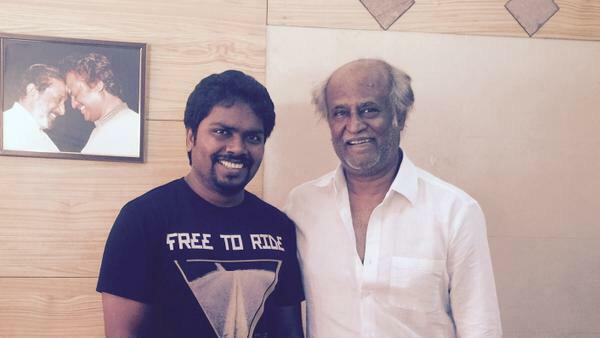 Known for his films like Attakathi and Madras, director Pa. Ranjith has officially confirmed his next with Superstar Rajinikanth. Kalaipuli S Thanu will be producing this prestigious project. Makers have released a press note confirming the untitled Pa. Ranjith directorial. gud news to all thalaivar fans . @superstarrajini @theVcreations @beemji movie announced just Now ..
For Kalaipuli Dhanu, a noted film producer of Tamil cinema, it is a dream come true to produce a Rajinikanth film. He is credited to have prefixed the "superstar" tag to Rajinikanth when he distributed the actor's first solo hero Tamil movie Bhairavi in 1978. Makers have now released an official press note revealing the film's crew. Santhosh Narayanan will be composing music for the lyricists penned by Kabilan, Umadevi and Gana Bala. G Murali cranks camera for this Rajini starrer, while art is by Ramalingam, Praveen KL takes care of editing department. Satish is roped in for dance choreography and sound design is by Ruben. Shooting of this untitled Rajinikanth's next will start in Malaysia in August. Ranjith is planning to shoot subsequently in Thailand , Hong Kong for 60 days underway, followed by Chennai scheduled for 60 days.